could truly represent their passion for soapmaking. They have selected the essences of the most romantic and emotional elements of our region and made them the heart of six new Nesti Dante soaps. Because they understand that the best bouquets are both an endearing part of our daily lives, as well as encapsulating our fondest memories. tactile and caress the skin with pleasure. soft sensuality of Basil, coming together in perect harmony. intertwine with the sensuous scent of Narcissus. the sparkling scent of Verbena Leaf to create an energizing soap. 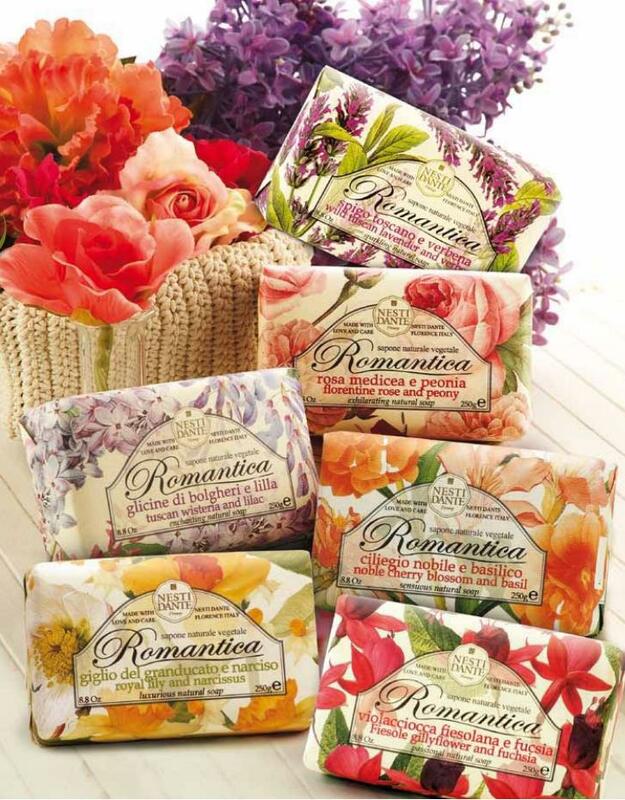 touch of Fuchsia to create a gentle romantic soap.